Whether your home is thatched or not, smoke and Carbon monoxide alarms are recommended. 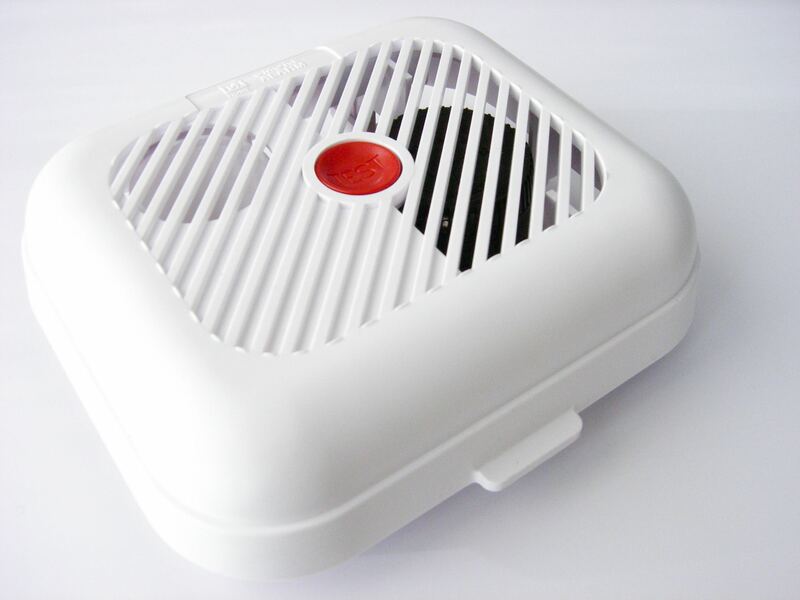 Smoke alarms – should be fitted on each level and especially in the roof space. 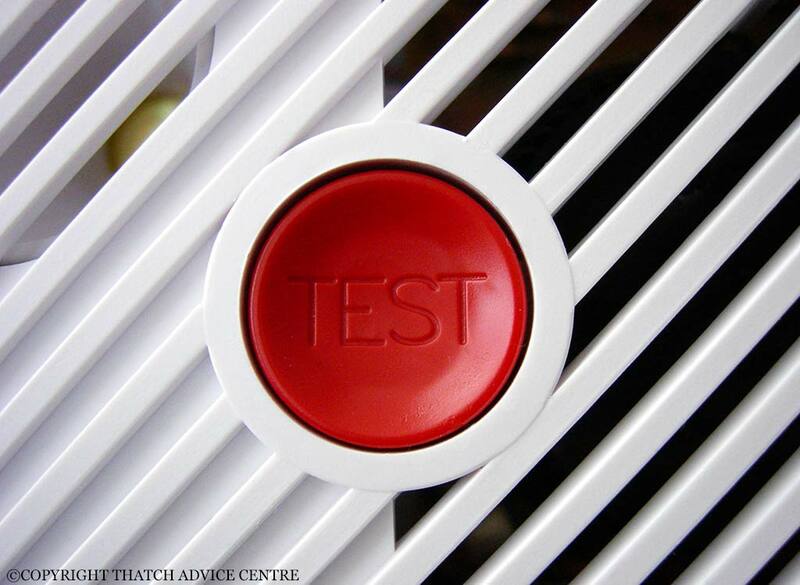 They should be tested regularly – NB Many Fire and Rescue Services have a Test it Tuesday reminder on their Facebook page. It only takes a minute and is excellent advice. There are stand alone or linked options for many alarms. Some alarms systems are linked to fire service, mobile phones or even neighbours. Professional advice is best sought to get the best solution for your requirements. The Fire Service are often very helpful as a first port of call. Fire alarms and chimney heat alarms are also useful early warning systems. Or keep an eye on the flue temperature with a flue thermometer. 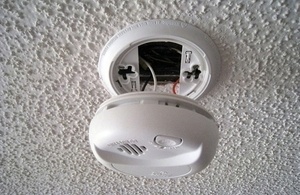 Smoke alarms are readily available, cheap and easy to fit and maintain. The two main sorts are: ionisation alarms and optical alarms. Ionisation alarms are the cheapest and the most readily available. They are very sensitive to flaming Fires. Optical alarms are more expensive and more effective at detecting slow-burning fires (such as smouldering foam-filled furniture and overheated wiring). Optical alarms are less likely to go off accidentally, and so are best for ground-floor hallways and for homes on one level. There are many other specialist alarms, such as mains-powered alarm with strobed lights and vibrating pads for people who are deaf or have hearing difficulties. When fitting alarms have at least one per level. Fit onto ceiling as near as possible to the centre of the room, minimum 30cm from wall or light fittings and where you can reach them for testing. Test once a week, replace battery at least yearly and clean with a vacuum with brush attachment. The difficulty with alarms is that it means things are often already too hot! Good practice with chimneys fire care and electrics are paramount to reduce the likelihood of any alarms going off. Are you a Landlord with Thatch? Do not panic Have a plan, what you would do if your alarm did go off? How would you and your family get out and get help? Make sure the whole family knows the plan? Get out and stay out. If the Fire Service were called, would you know where your nearest water source is? Have your important paperwork easily accessible should they be able to rescue it for you. Eg insurance, passports etc. If they can rescue any of your belongings which are the highest priority? and where are they? Generally get in the habit of keeping exits clear and close doors at night.